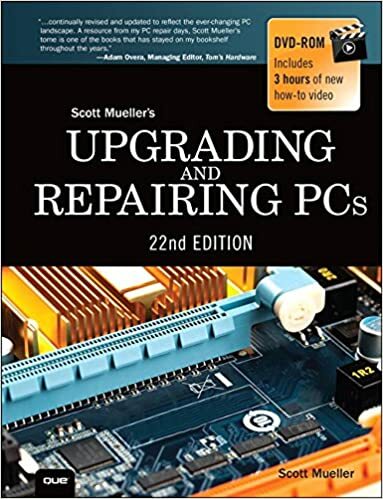 Great Reference Book On Upgrading And Repairing PCs – If you are contemplating a career as an IT Professional or you are an IT Professional, you may want to consider purchasing the 22nd Edition of Scott Mueller’s Upgrading and Repairing PCs. Get “practical answers about PC processors, mother-boards, buses, BIOSes, memory, SSD and HDD storage, video, audio, networks, Internet connectivity, power, and much more. You’ll find the industry’s best coverage of diagnostics, testing, and repair—plus cutting-edge discussions of improving PC performance via overclocking and other techniques.”. Also, be sure to check out Scott Mueller’s online Upgrading and Repairing Forum. Boot Failure Troubleshooting Flowchart – Since I started out today’s post with a book on upgrading and repairing PCs, I thought I would throw in this Boot Failure Troubleshooting Flowchart that you may find of interest. There is also a book on this as well — CLICK HERE . Use Disk Space Organizing Software To Keep Your Computer Clutter Free – Using disk space organizing software can help you keep your computer from turning into a junkyard by visually showing you what files and folders (and where) are consuming hard drive space. To help me in this situation I use the portable app called GetFolderSize. There is also a full install version if you are not into the portable apps. GetFolderSize works as a disk analyzer that lets you see a folder tree where you can easily locate files and folders that you have “lost” and cannot even search for because you have forgotten what you named them! I have added GetFolderSize to the Downloads Page, listed under the portable apps swarm. Turn An Android Device Into A Home Video Monitoring System – If you have a tablet or an old Android phone lying around, you can put it to good use and turn it into a video surveillance camera by using the Android app called AtHomeCamera. This app is worth a try before you go out an buy and expensive setup. All platforms are supported, including Windows PC、Mac、iPhone、iPad、iPod, Android phone, Android tablet and Smart TV. Used together with AtHome Video Streamer, you are able to keep an eye on your home when you are outside, and receive alerts right away in case of any incident! Are The Days Of The Traditional “Clamshell” Laptop Numbered? – BetaNews has a good read on this. 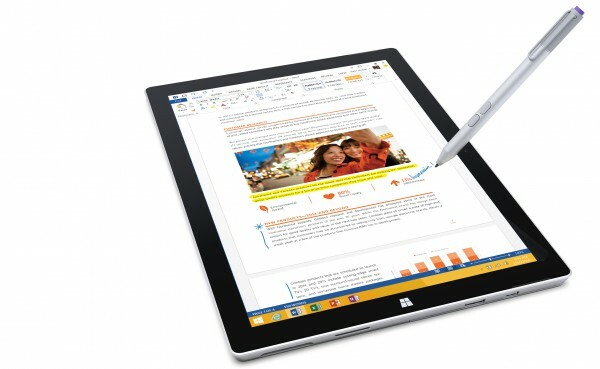 My gut is telling me that they may be right on predicting that the future of laptop computers will give away to the detachable keyboard format (with the digitized pen-enabled screen) of the Microsoft Surface device. The future may be now, due that every major hardware vendor is now embracing this technology. Initially, the Microsoft Surface device was largely ignored; but, after three tries (or versions) of Microsoft Surface the vendors (after their own awkward experimentation of multi-purpose notebooks) is now looking at the Microsoft Surface hardware model as a model template to accept and follow. An example of what the detachable 2-in-1 touchscreen laptops look like — CLICK HERE… I would wait awhile before jumping into one of these until the “Surface Like” models appear. What do you think, will the traditional clamshell laptop give way to the 2-in-1 detachable keyboard format? List Of Freeware AND Other Releases From The Windows Club – Just added The Windows Club Freeware List to the Downloads Page. This listing is unique in that it consists of many Windows utilities that will help make using Windows easier and/or fix a problem you may be experiencing. This lists consists of all the Freeware, eBook, Themes, Screensavers, Wallpaper and other releases from The Windows Club. A FREE Online Tech Tool Bag – No, this is not a tool bag that you physically carry around. This tool bag is one that is readily available in the virtual sense and has been specifically made for those who have a passion for information technology, PC troubleshooting and repair, and the desire to learn more. What I am referring to is the GEGeek web site. This site is awesome in the sense that the developer of the site, who is a seasoned IT Professional, has successfully created a centralized index of sorts that will direct you to anything and everything that has to do with fixing and learning more about Microsoft Windows and computers. To show how important I think this site is, I have permanently included a link to the site on What’s On My PC (see tab at top of the page). See How Fast Technology Education Is Changing In The Schools – I cannot imagine being a Teacher, Student or Parent these days and attempting to stay on top of all of the information technology changes. Ask A Tech Teacher has posted an article, 13 Changes in Tech-in-Ed in Just Three Years that provides real-world insight on how quickly things have changed, just in a three year period. I Highly Recommend This Android App If You Use Google’s Two-Factor Authentication – I just added this app to the downloads page and it is called Authy. Authy brings the future of strong authentication to the convenience of your Android device. The Authy app generates secure 2 step verification tokens on your device. It help’s you protect your account from hackers and hijackers by adding an additional layer of security. Two-Factor Authentication prevents your Google Gmail account from being hacked. Preserve The Integrity Of An Image With A Curved Screened Monitor – The first time I experienced one of the curved computer monitors and went back to a flat panel, I immediately sensed the difference. To get an idea of what I am referring to take a look at the S27D590CS monitor by Samsung. Definitely takes entertainment to a whole new level. I just need to figure out how to get this monitor to fit into my work area. 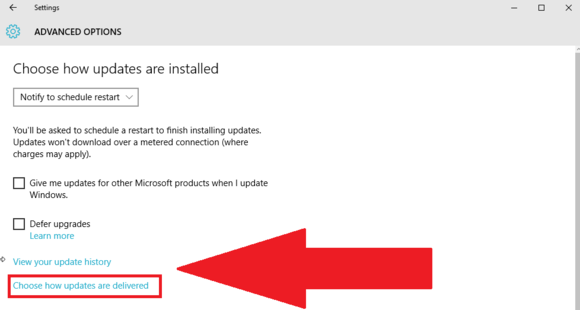 Windows 10 Is Sharing Your Computer By Default – I found this article on PCWorld (How to stop Windows 10 from using your PC’s bandwidth to update strangers’ systems) that explains how Microsoft is a using a new peer-to-peer (P2P) delivery update mechanism (in Windows 10) that turns your Windows 10 PC (by default) into a server for distributing updates to other machines. Hmmm… I’m not liking the sound of this. Anyhow, the setting or toggle to turn this off is buried in the update and security settings. CLICK HERE to learn how to turn this off. Need advice for buying a Smartphone? – I am pretty seasoned when it comes to computers and smartphones, but when it comes to shopping for either (especially smartphones) I soon become discombobulated (in a state of confusion). To help you folks out there looking for a smartphone, be sure to read Best Android smartphones for work and play (Aug 2015 edition) at ZDNet…. Make Sure You Check Out This Screen Capture Program – I use screen capture utilities on a daily basis and would be lost without one. A new kid on the block recently to me is ShareX. This utility is being updated regularly and the most recent update allows you to either perform a full installation or the option to install the program as a portable app. Very nice screen capture program that does not disappoint. Best thing about ShareX is that it is FREE, Open Source and there are no embedded advertisements. If you need to install or reinstall Windows 10 – As a reminder, if you need to reinstall Windows 10 (for whatever reason), make sure you are prepared. CLICK HERE to create your own Windows 10 installation media using either a USB flash drive or a DVD. Harness The Energy Of The Sun To Light Your Night – Check out this outdoor LED motion sensored solar light for less than 15 bucks…. Probably one of the most underused functions on computers, by the everyday computer user, is the copy and paste function. I am sure this is probably true when it comes to using our smartphones. As a matter of fact, I randomly asked some of the my friends if they knew how to copy and paste text on their Android phones??? As usual when I ask these geeky type of questions they sort of look at me with that deer in the headlight look and wonder what planet I am from. Every single person I asked this question did not know that was even possible on their phones. Copying and pasting text from one app to another on our phones is a function you need to learn and if you want to get a good start on this I suggest that you take a look at Easy Copy. I found that when the menu appears to perform these function, you can drag the order of the menu around to fit your personal needs. For example, on top of my menu list is the “share” function, due I use that function the most. I depend on my Android devices (tablet and smartphone) to provide me with the latest news headlines from around the world. I have tried numerous news apps and the one that I have settled down to and really look forward to reading is SmartNews. SmartNews uses a proprietary algorithm to analyze over 10 million articles a day to give you the top trending stories from a variety of news sources. The interface is optimized for readability with zero loading time (read offline). If you are a newshound, I really think you will like this app. [FEATURED GEEK SQUEAK] Get A Great Deal On Microsoft Office 365 Personal– A year ago I would have told you that Microsoft was behind the eight ball and was not in tune with the current devices (such as tablets, smartphones, etc.) which are supported by cloud computing. A year later I am seeing a new Microsoft that is quickly rebounding and doing things that I never thought I would see them do. One example (of late) is their pricing model changes and incentives with Microsoft Office 365. If you do not know what Microsoft Office 365 is, let me break it down in one sentence. Microsoft Office 365 is an online subscription service to Microsoft Office where you pay an annual fee to keep Office on your computer (and other devices). There are quite a few pricing models for Microsoft Office 365, but the latest deal that jumped out at me was Microsoft Office 365 Personal where Microsoft has thrown in a Terabyte of online storage and 60 Skype minutes for $6.99 a month (or $69.99 a year at a 16% savings). What is making this sweet is the terabyte of online storage (and the Skype minutes); PLUS, the satisfaction of knowing that your version of Microsoft Office is always up to date. [FEATURED GEEK SQUEAK] Microsoft OneNote – Many of you may be familiar with Microsoft OneNote, which Microsoft describes as an “extension of your brain”. The HOT NEWS this week is that OneNote is now FREE everywhere. This means that you can download, sync and use OneNote on all of your computing platforms. OneNote is now available on: PC, Mac, Windows tablets, Windows Phone, iPad, iPhone, Android and the Web. And they’re always in sync with each other. I recently added a new site to Bookmarks4Techs, named Android Awesomeness; and, in doing so I noticed that they had an Android App posted, called Days that will be of great assistance to me (and you). As I continue to age and ferment like wine, I have a tendency to forget things. I don’t know if it is the fermenting process or it is just me learning to mellow out more; however, my forgetfulness needed tended to. This is where Days will help me out. Days— is a beautiful countdown app using the popular card-based UI introduced by Google. It is designed to be an efficient as well as elegant tool for your Android device. Days— provides all essential functionalities needed to remind you of your important dates, and gives you choices over colors if you want to keep things organized. Since this app is built based on open-source libraries, it is definitely free with no ads. Recently I was given one of the Barnes & Noble Nook HD Tablets and I must say it is an excellent tablet; especially that it is now open to downloading apps from the Google Play Store. What I have been doing is some customizing with the “Look of the Nook”. An Android app that I came across, to change the “Look of the Nook”, that I want to share with you is a launcher that will change the way you use your Android tablet (or smartphone). It is called Swapps!, which is a side drawer launcher that gives you the ability to fast scroll through your apps. If you have any question or doubt in regards to performance of your mobile broadband connection; install FCC Speed Test. FCC Speed Test is an Android app that accurately measures your mobile broadband performance and displays an in-depth view of its factors (e.g. download and upload speed, latency, and packet loss). 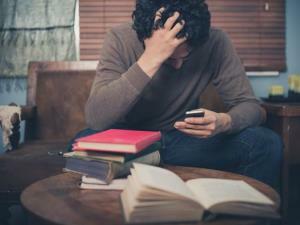 Addictive Tips gets full credit for bringing this useful Android app to our attention. I have tried many screen capture programs and PicPick always comes out on top. If you are into graphic editing, blogging, desktop publishing, etc… PicPick is a must have installation. It automatically detects and decrypts the license/serial keys of over 200+ popular softwares including Office, SQL Server, Adobe, Nero and many more. The complete list is given below. For $200 bucks, this Chromebook (by Acer) is something to really take a look at, especially if you only need something to get on the internet. Let’s face it, most of our computer time is on the internet. Should you Choose a Laptop or a Tablet? I was recently looking for a software (or app) option to turning off my Android phone by tapping on an app shortcut on the screen (instead of using the hardware button). What I found was a very nice app called Screen Off and Lock that works very nicely and has several options such as screen off animations (that are very cool). Squeak #4: Need a computer monitor. Below you will find one of the most popular out there and it is not that expensive. Please note: This is a early Beta version. Some (if not all) things might not work correctly. Additionally casting Chrome Tabs, Netflix and Play Movies are not yet supported. Because of DRM, Play Movies and Netflix might actually never work. Recently I came across another disk space analyzer, called WizTree, that I found to be very impressive and fast. Where WizTree excels is in its’ scanning speed; and, what makes it so fast is that WizTree does not scan the physical drive, but scans the hard drive’s Master File Table (MFT) directly from the disk. Please Note: When using programs such as this to identify the space hogs on your computer (or device) make sure you do not delete a spacehog (file or folder) that is needed for the operation of the computer (or other programs). Typically, I use programs, such as WizTree, to determine what personal files I have saved (such as documents, pictures, movies, etc…) are consuming the most space. Programs such as this are also great for troubleshooting problems, as well. The MFT is a special hidden file used by the NTFS file system to keep track of all files and folders on a hard drive. Scanning for files this way completely bypasses the operating system (Windows) and provides a huge performance boost. Work VERY Fast! We think it’s the fastest application of this type in the world! WizTree, is a portable app that works on 32 and 64 bit versions of Windows 2000, XP, Vista, Windows 7 and Windows 8 with drives that are formatted in the NTFS format (which most modern drives are formatted). Which are the Greatest iPad Accessories to choose? Today I want to share with you a portable network tool, called Angry IP Scanner, that I used on a daily basis, for legitimate purposes, to scan (and ping) a range of IP addresses and ports to tell me what devices and computers (hosts) on my network were up and running. If the host was alive, the result indicator would be blue and if the host was dead the result indicator would be red. This utility saved me a lot of time in troubleshooting network issues. Today, I no longer manage a network; however, this little tool is still with me to scan the network in my home. Angry IP Scanner is a very fast IP address and port scanner that can provide a wealth of information regarding the pinged hosts. It can scan IP addresses in any range as well as any their ports. It is cross-platform and lightweight. Not requiring any installations, it can be freely copied and used anywhere. Using your blog’s RSS feed address you can turn your blog into an Android App that can be shared on Twitter, Facebook or your website. To accomplish this, simply visit Free Blog Apps and follow the step-by-step instructions to build and customize and build your app (with icon and background). There is nothing to install and once you complete the process the app will be available for download to your PC, smartphone or tablet in the matter of minutes. For example, if interested you can download the What’s On My PC android app that will keep you up-to-date on what has been posted. You may have to go into your phone settings to the tell the phone it is ok to download unknown third party android apps for this to happen. If not interested, that is OK too. I just thought it interesting that there was a site out there that would automatically build an app for bloggers that could be useful in driving traffic to their blogs. After getting my tablet PC, the Toshiba Thrive, I was excited and motivated to learn more about the Android Operating System and the apps that are available. If you know me and follow my blog, you know that the blog predominantly features FREE software. When I started using my tablet PC I soon discovered that there were numerous FREE apps available through the Android Market. I plan to feature some of those apps here on the blog. Another thing I noticed is that many of the Android Apps, that are paid apps, are reasonably priced; however, I still like FREE. Recently, while surfing through Amazon.com (one of my favorite places), I noticed that Amazon has an Appstore for Android, as well. The Appstore also features FREE apps in addition to the paid apps. What caught my attention was that Amazon features a paid Android App for FREE every day. 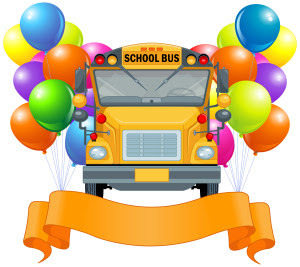 To get the FREE app of the day, you will be prompted to enter your mobile phone number or e-mail address. In my case, for my tablet, I use one of my secondary email addresses. Reader Asks, What Is “Thumbs.db”?